A Ship Captain’s Desk, A Very Rare Book on Clocks and a Walnut Blanket Chest! SALES, Door Prizes and Lots of Refreshments! 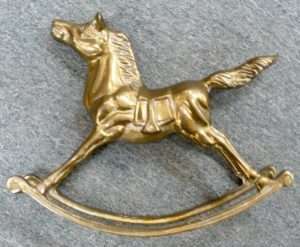 Please Scroll Down for Descriptions and Prices of Items in the Collage. 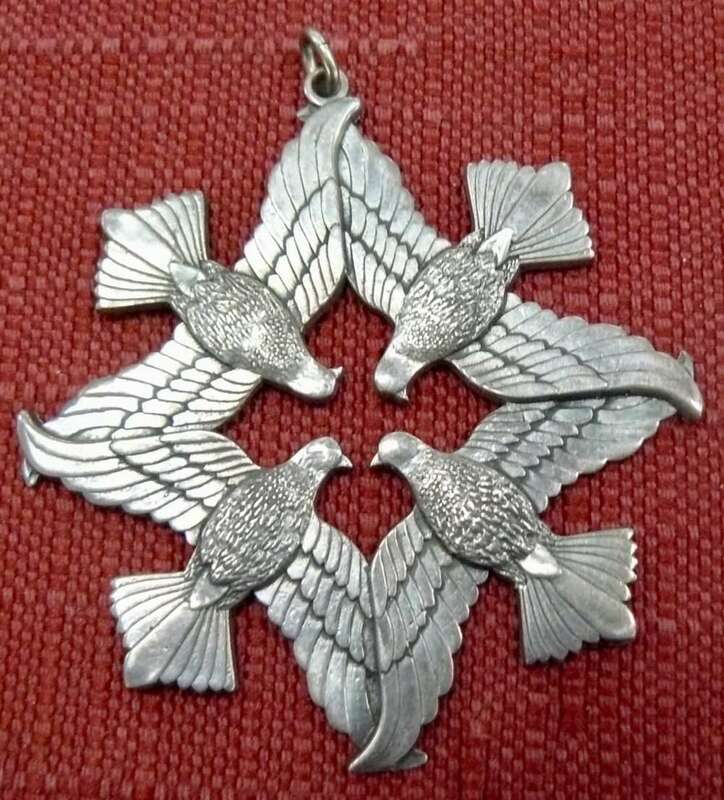 Sterling Pendant ‘Peace on Earth’, Marked – $32.00 – 33ha. Booth 33 has a Nice Selection of 1:18 Scale Diecast Cars in Boxes – $19.00 each. Large Brass Rocking Horse – Booth 33, $21.00. 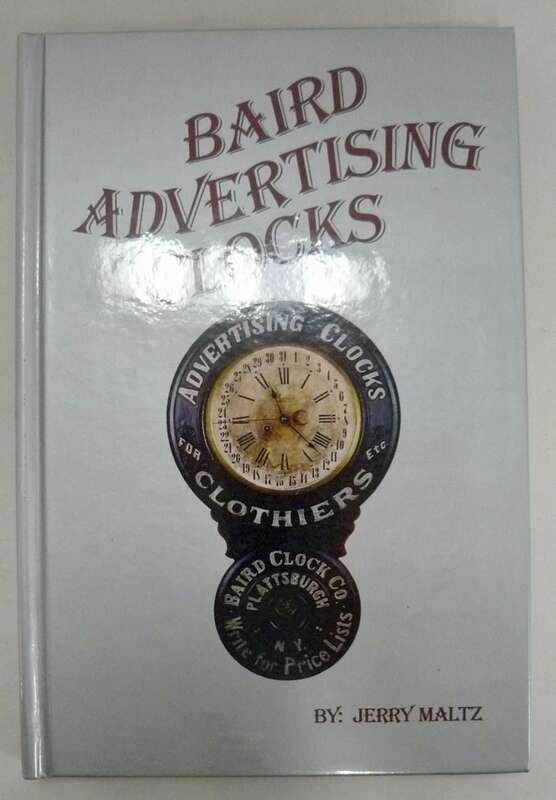 Book: ‘Baird Advertising Clocks’, by Jerry Maltz – Fully Illustrated, Quality Pressed – First ed. 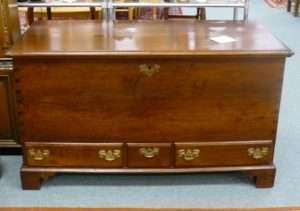 $300.00, Booth 318. Fabulous American Walnut Blanket Chest with Three Drawers – Booth 33, $845.00. 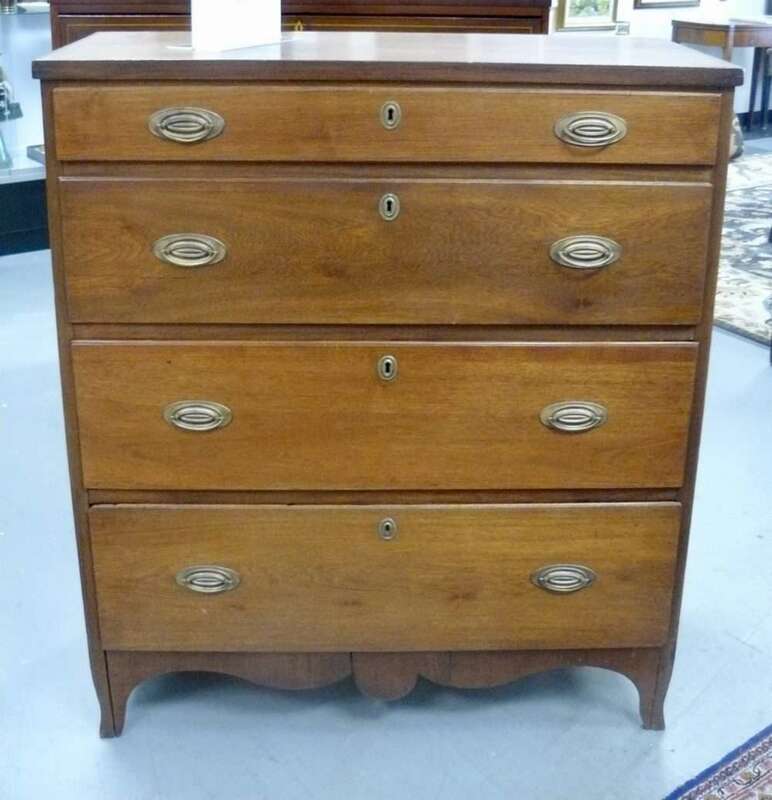 From the Treasure Room: A Federal Chest of Drawers in the Hepplewhite Taste – Paneled Back – Walnut with Southern Yellow Pine. “Plain and Neat” Booth 318 – $7500.00. 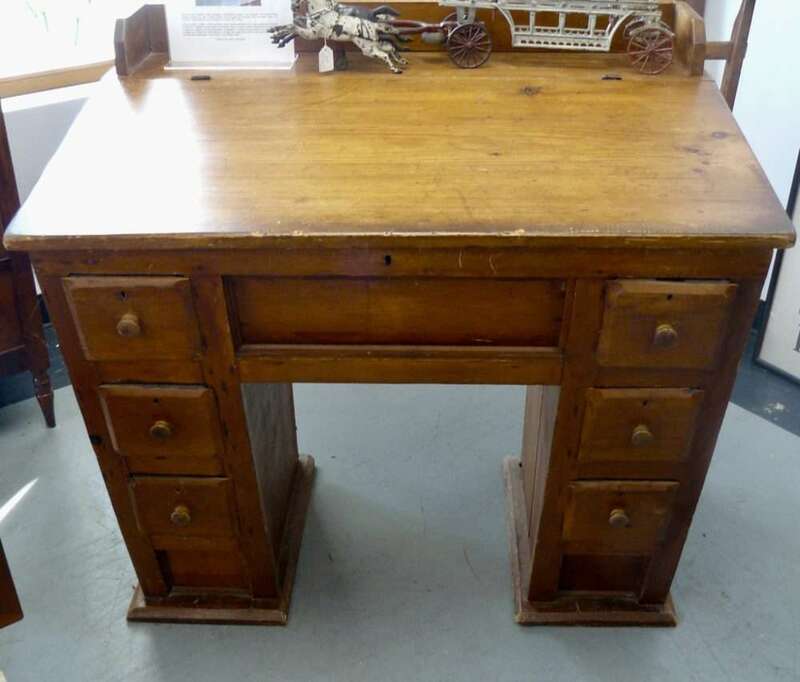 From the Treasure Room: A Ship Captain’s Desk – Probably Coastal New England – White Pine, Mid to Late 19th Century, $2450.00. Booth 326. 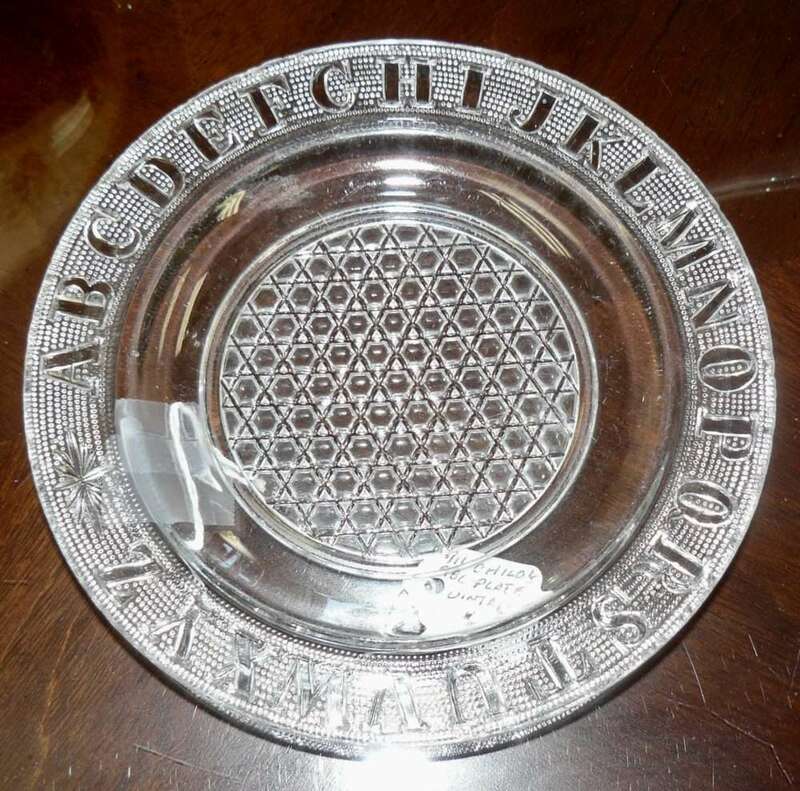 Sweet Child’s ABC Plate – $14.00, Booth 411. Westmoreland American Hobnail Brandywine Blue Opal 8oz Goblets – Booth 420, $25.00 each. 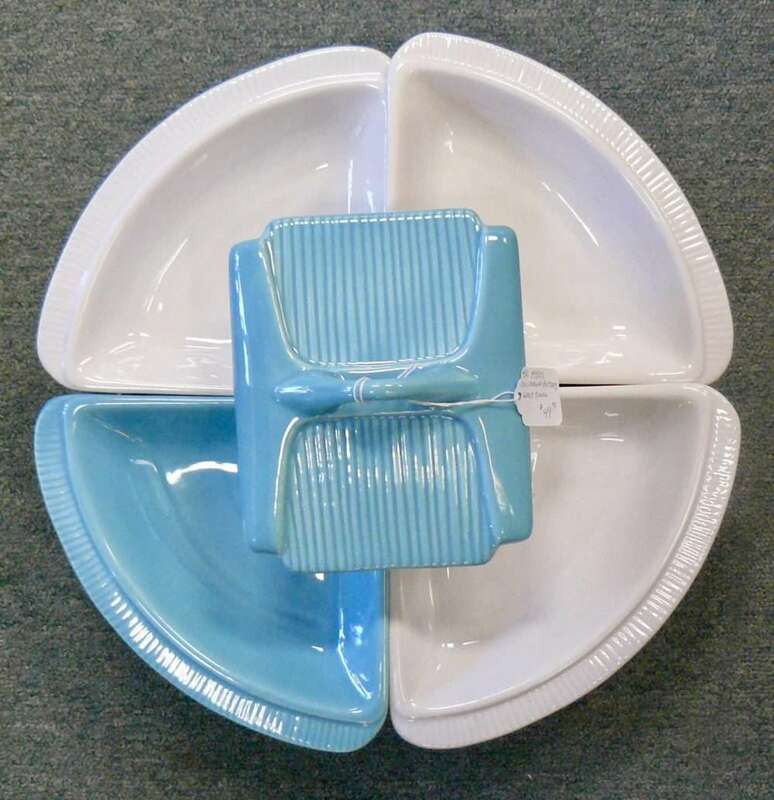 Lazy Susan – California Pottery – 1950’s, Boot 411, $49.00. ‹ Mr. Fox, a Great Selection of License Plates and a Taxco Bracelet Marked 980!